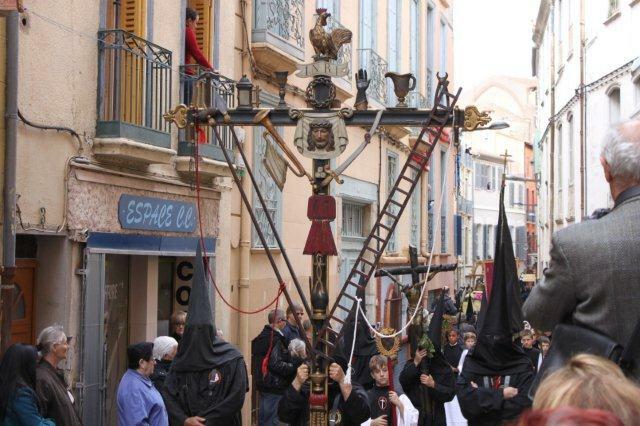 Every year on Good Friday, a procession winds its way through the narrow streets of old Perpignan, to commemorate the passion of Christ. 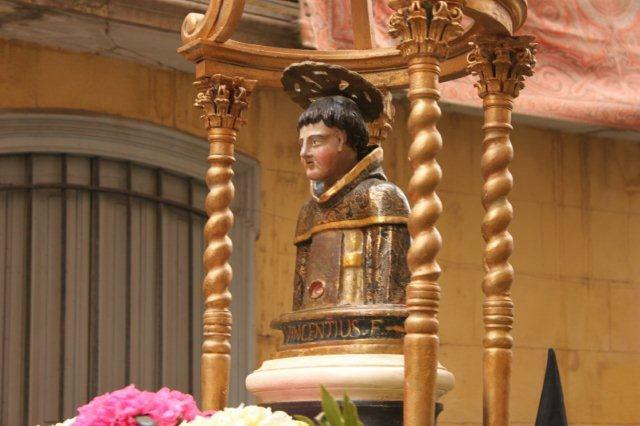 The origins of the procession can be traced back to Saint Vincent Ferrier, a Dominican monk who lived between 1350 and 1419. 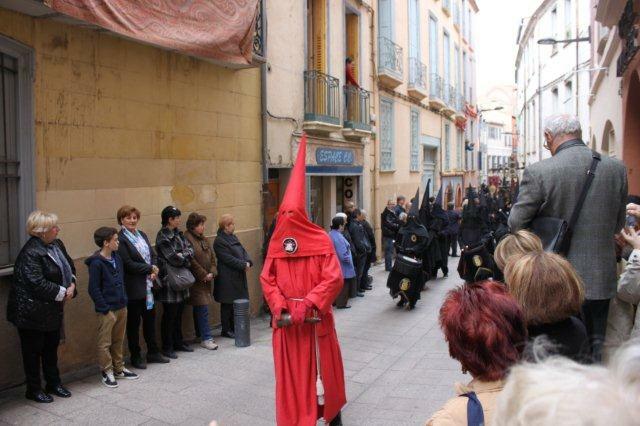 La Confrerie de la Sanch, the Fraternity of the Holy Blood, was founded in October 1416 at the Church of Saint-Jacques in Perpignan, with the aim of accompanying those condemned to death and their families before and after the execution, and at the same time commemorating the passion of Christ. 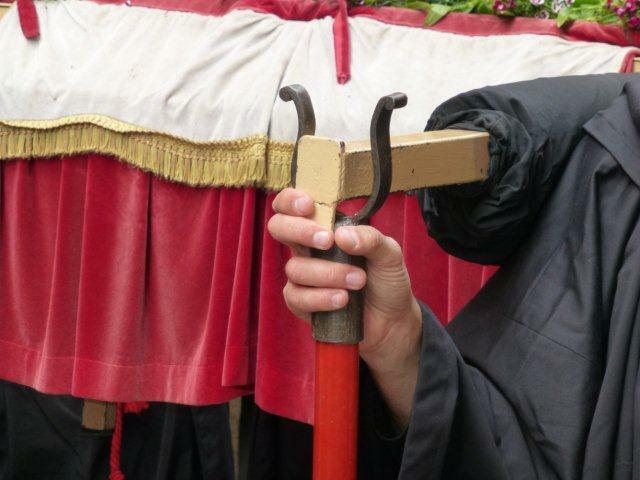 The participants of the procession are called penitents – the men wearing black robes with hats pointing to the sky, their faces completely masked, some of them barefoot or only wearing sandals. 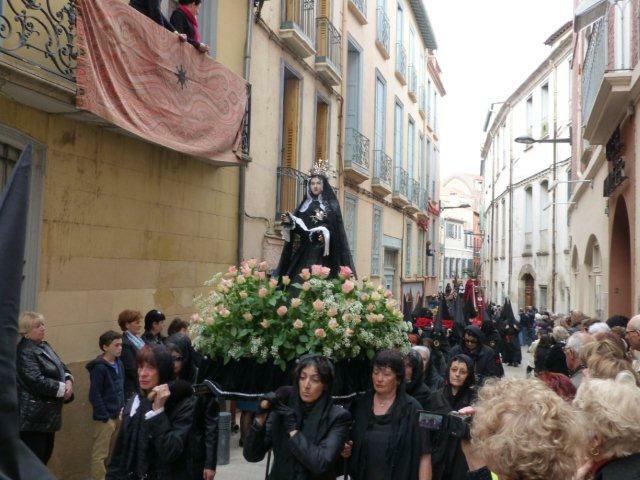 The women wear black veils on their head and are dressed head to toe in black. The procession is always led by the Regidor, a figure dressed in a red robe, carrying an iron bell, which is rung intermittently, followed by a group of drummers. The solemnity of the procession as it approaches sent shivers down my spine. In 1777 the authorities decided to confine the procession to the church grounds of the Saint-Jacques church, as it was deemed too baroque and Spanish. The tradition of taking the procession through the streets of the old town was revived in 1950 and it’s been taking place ever since. The procession passes in silence; the penitents do not speak, and most of the bystanders watch in awed silence. The only noise comes from a PA system, where someone is explaining the origins of the Sanch and reading what sounded to me sacred texts, some in Occitan. The PA system is also playing the Goigs, the traditional Catalan Easter songs. I would have preferred for there not to be any of that, for me it didn’t add to the atmosphere. 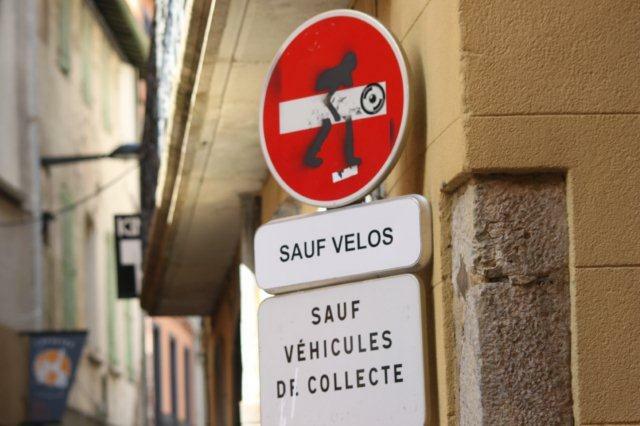 The start is a 3pm in Rue de l’Eglise Saint-Jacques, and the procession returns there at 6pm. In between there are four stops to give those carrying the Misteri a break. When there is a break, even a short one during the walk, each one of the bearers has a stick on which to rest the handles of their heavy load. Some of those sticks look like they’ve been used for a very long time. 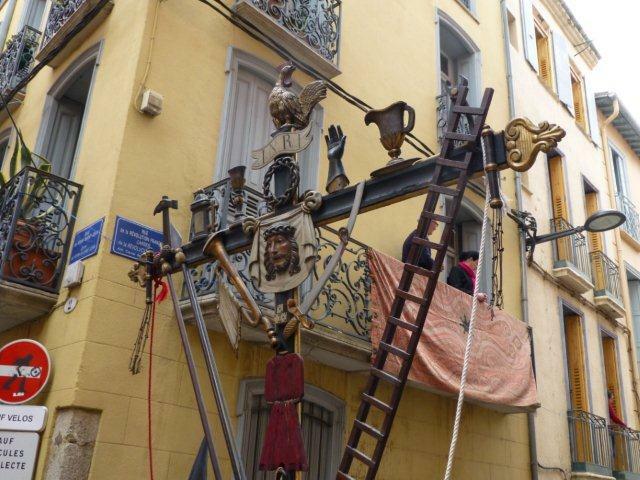 There are many Misteri in the procession and many photographs, so I thought I would try and insert a slide show for you. 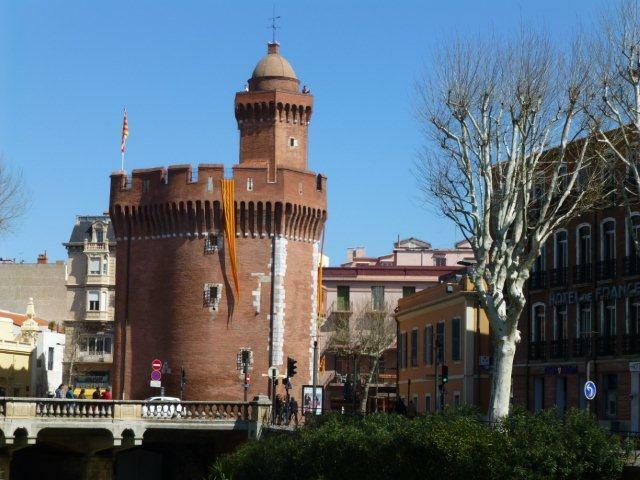 So if you ever are in the area around Easter, I would urge you to visit Perpignan on Good Friday, even if the weather does not look too good. 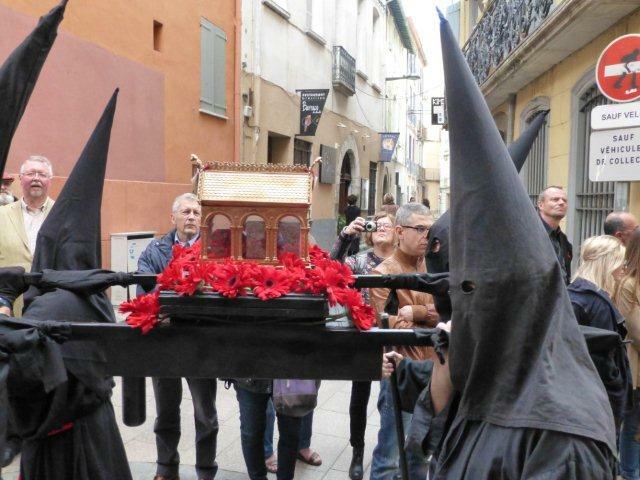 The procession will not leave you indifferent, and neither will the town of Perpignan! 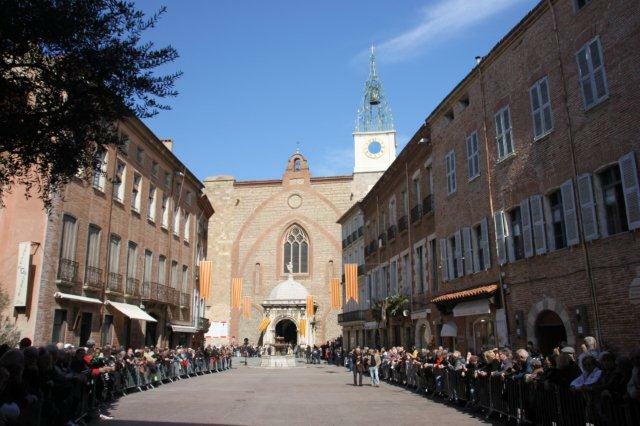 This entry was posted in Days out, Fetes, Places to visit, Travel, Uncategorized and tagged days out, easter procession, perpignan, religion, sanch, travel by midihideaways. Bookmark the permalink. 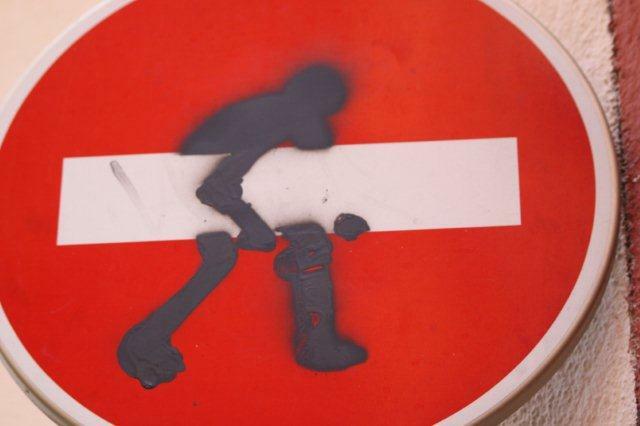 Thank you Nessy San – I hop you’ll enjoy lots more!! 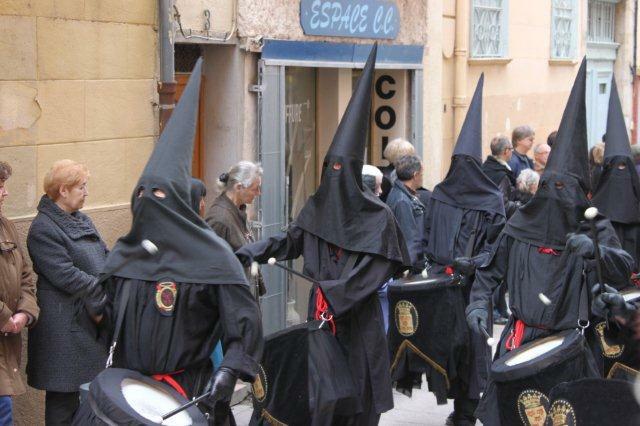 If I was just suddenly confronted by a procession of people dressed like this, I think I would be running the other way!! What a wonderful experience! Thanks for visiting my journey, it means a lot! I will be on the look out for your next post! HI Janaline, thanks so much for your comment – you’re right, it has a somewhat scary side to it… But it is very moving! Loved reading your posts about Japan!